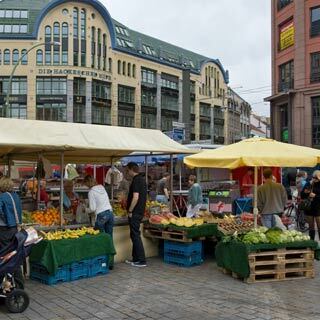 Start or interrupt your hop-on hop-off sightseeing tour of Berlin at stop Hackescher Markt. Centrally located in Berlin-Mitte, the Hackescher Markt is an important transport hub and a starting point for the city's nightlife. It is one of the trendiest districts of Berlin. Oranienburger Straße: This street a must for visitors to Berlin. Spend the evening here.